This adventure cruise ship combines comfortable facilities with a passion for exploration and learning, featuring a knowledgeable Chilean expedition team. 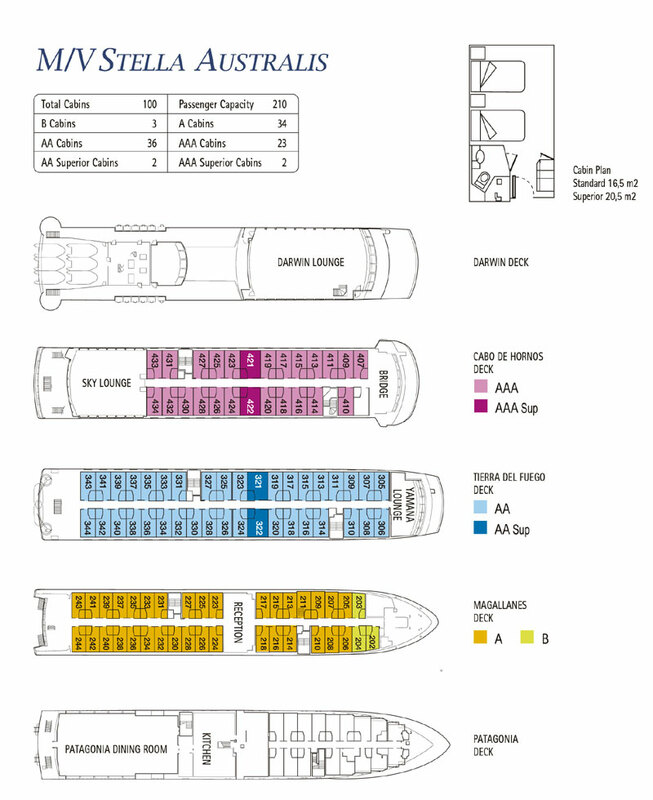 Carrying a maximum of 210 passengers the Stella Australis is one of our largest cruise ships but offers the same expedition experience as the smaller vessels. A fleet of Zodiacs is onboard, ready to take guests ashore in remote coves or to cruise past glaciers in narrow fjords. The ship’s expedition team bring a wealth of knowledge and experience to the adventure, explaining everything from wildlife and geology to indigenous history and weather patterns along the way. 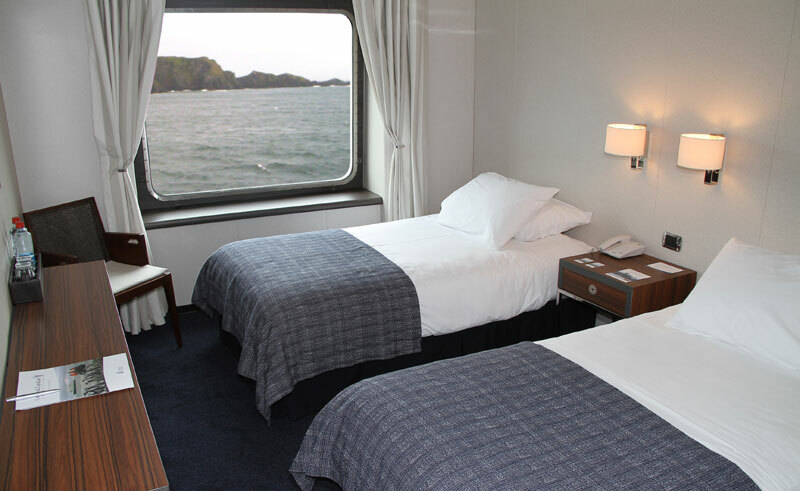 The ship features wide open decks, ideal for wildlife spotting and taking in the spectacular scenery of Patagonia. Three contemporary lounges provide space to relax, and are equipped with audio-visual equipment for presentations and lectures. 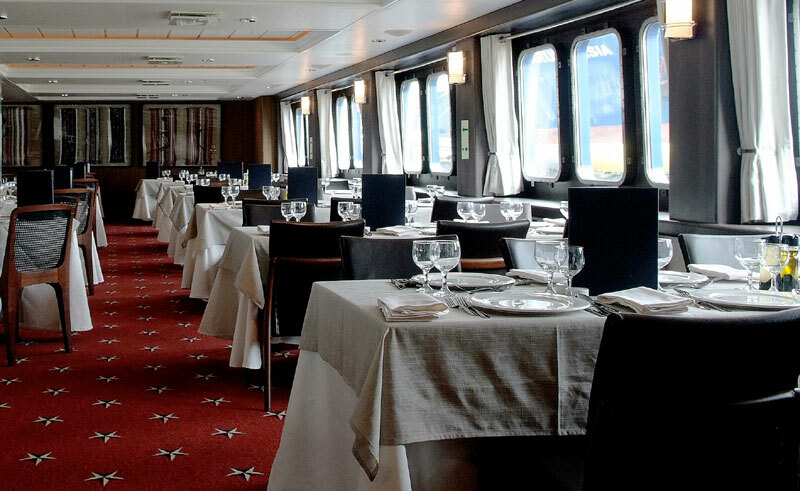 The ship also has a bar, library, exercise room and dining room serving exceptional cuisine. Spacious guest cabins are all ocean facing and have private ensuite facilities. 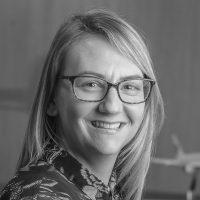 Why choose the Stella Australis? 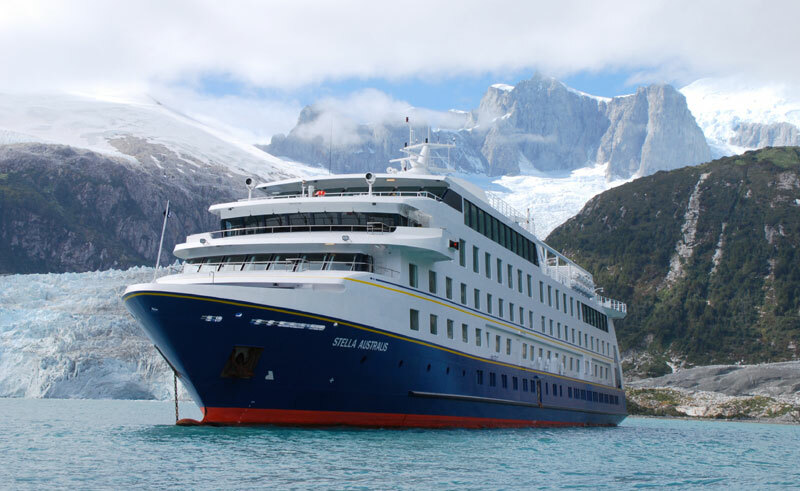 Ready for adventure, the Stella Australis’ Chilean team offer a warm welcome and genuine passion for their country. 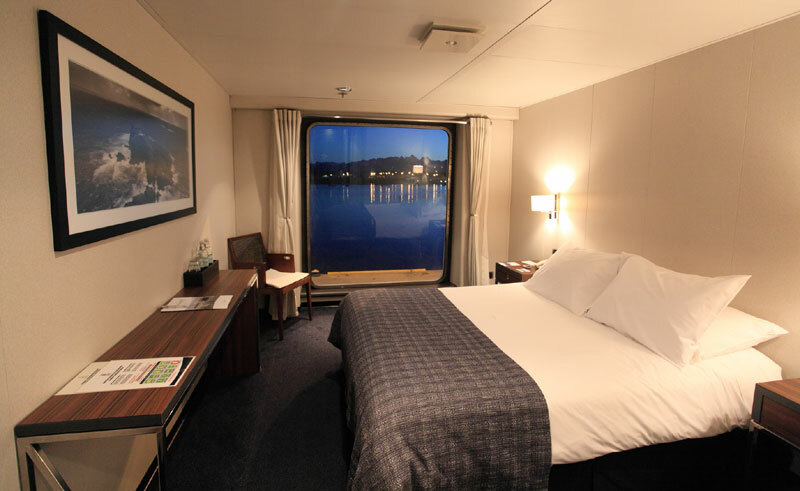 This comfortable ship has everything you need on board for an expedition into deepest Patagonia! Twin share cabins are not available on this vessel. Sole occupancy of a cabin will incur a supplement. This short, but action packed expedition cruise takes you through the fjords, straits and channels of Patagonia.